We are committed to keeping the cost per ticket at $20. If you are able, please give a donation to help us keep this Bash affordable for ALL of our classmates! Most of our classmates will be turning 60 in 2019 (some already have!) 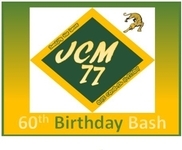 We're going to get together on June 8, 2019 for a big 60th Birthday Bash! Tickets are on sale now! Tickets bought now are $20. The price will go up to $25 at the door. Buy your tickets here. Don't forget to order your souvenir t-shirt. The dress code at the Bash is casual - a lot of us are going to wear jeans and our souvenir t-shirt! And if you can't attend, or if you want to help us have a great party for an affordable price, please make a donation! 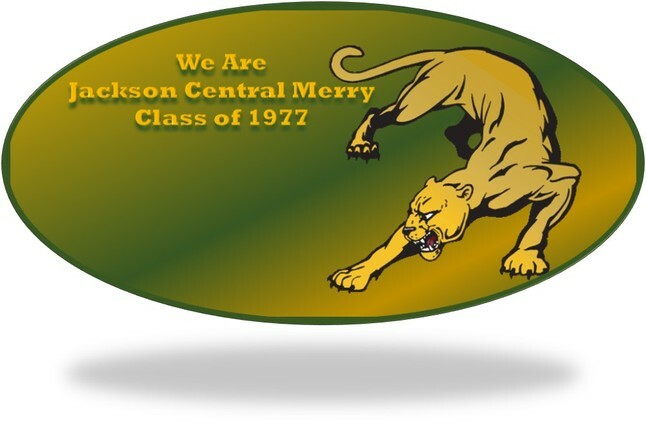 This site is for people who were members of the JCM Class of 1977. We also welcome people who were faculty or staff from 1974-1977. To join the site, locate your name on the list of Classmate Profiles. If you don't see your name, Contact Us and we will set you up. This site has been established for upcoming reunions and to keep classmates connected. Please register and spread the word so we get as many classmates as possible registered.